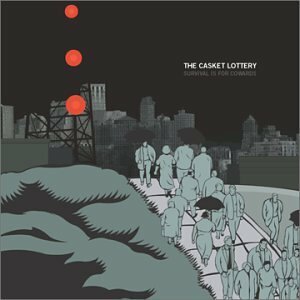 From the moment I first heard The Casket Lottery I have always been inspired and greatly influenced by their eclectic sounds and excellent recordings. The music produced by the three-piece based out of Kansas City, Missouri always seemed to resonate deep within me. Unfortunately in mid-2006 I was crushed to hear they had decided to go on hiatus. The members went on to perform in different groups for the next few years until 2010 when they re-united to perform as special guests at a show in their hometown featuring Coalesce. Than in early 2011, the three piece yet again reformed to play select shows with the recently re-united Small Brown Bike. Late August 2011 I was elated to hear The Casket Lottery had announced they would be entering the studio to begin working on a new album. The Casket Lottery's last release was the Smoke and Mirrors EP which was released in 2004 and their last full-length release was 2002's Survival Is for Cowards. Keeping in mind that most of the band's material had in the past been released through Second Nature Recordings it was expected the band would announce the yet untitled new album would also be released through them. In January of 2012 The Casket Lottery announced through their Facebook page that they had signed to No Sleep Records. It was also reported that the new album would be the band's first release as a quintet. 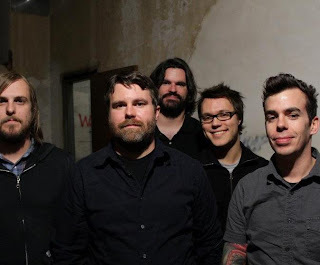 The Casket Lottery have been recording at Black Lodge Recordings with Ed Rose in Eudora, Kansas and have promised a darker album than anything they've previously released. 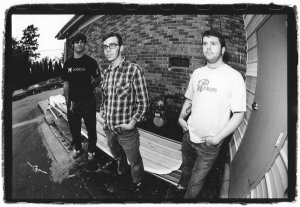 No Sleep Records also announced they will be releasing a new 7" -EP from the band as well as a new solo 7" from The Casket Lottery's frontman Nathan Ellis this Spring. 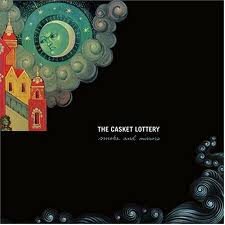 Needless to say, I am extremely excited to hear all the new material and hear how the addition of the fourth member will add to The Casket Lottery's already wide-ranging sound. If you haven't already heard this jaw-dropping group I urge you to take the time to check them out, you won't regret it.